I’ve used ad blockers for years. If you’re not familiar with that, what this means is that when I visit a website that has advertising, I don’t see the ads. I just see the website content. 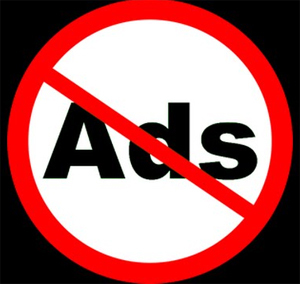 As you might know, ad blocking software has generated a controversy. Website visitors like the blockers because websites are so much more pleasant without all the obnoxious ads in your face all the time (sometimes even obscuring the content). 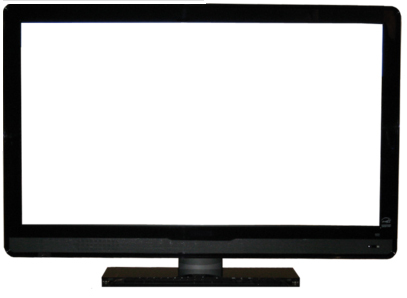 Website owners dislike them because ad-viewing is what brings revenue to their website. That’s a quote direct from the President and CEO of The New York Times Company, Mark Thompson. You can read his full content here. I’m not writing this piece to weigh in on the traditional pros and cons of blocking ads. There are good arguments to be made on both sides. What I want to make known, however, is that there is another very good and valid reason to block ads, aside from the fact that you just don’t want to see them. of bad stuff to your computer. If you click the link above and read the full statement by Mark Thompson, he fully addresses the need for users to view ads in order to help cover the cost of the website and the creation of good journalism. But he fails to mention the fact that many visitors to the New York Times website earlier this year were infected with ransomware, which was delivered directly from ads on the site. The website contracts with an advertising network, who handles the creation and insertion of the ads. The ad network gets compromised and malicious code is included “behind the scenes” in the ads that are displayed. The malicious ad uses the unpatched security hole to infect the computer with ransomware (note: you do NOT have to click on the ad for this to happen). The computer’s files are all encrypted – Documents, Pictures, Music, Emails, etc. All the stuff that’s important to you. The bad guys then display a message that if you want your files back, you have to pay 1-2 bitcoins (as of this writing, 1 bitcoin is equal to about $660 in US dollars). So you either pay the criminals and hope they come through and give you your stuff back, or you just lose all those files. I can’t let this opportunity go by without saying – if you had a backup before you got infected, you could get all your stuff back (including all of your programs) without having to pay the crooks anything. You do have a backup, right? In fact, to be fully protected, you should have TWO backups (and they are mostly automated, and I can set it up for you, so no excuses). And, if your other software (Adobe Reader, Adobe Flash, Firefox, Chrome, Windows Updates, etc. etc.) were all up to date, you would have been much less likely to get infected. This can be automated too, through the Managed Service Plan. But do you know how ELSE you could have avoided this mess? By using an ad blocker, and not allowing those infected ads to be displayed in the first place. To be fair, the New York Times was not the only high-traffic website that got hit with this problem a few months ago. Also included were the BBC, the NFL, and good old AOL. So, even though the debate will continue to rage about how annoying the advertisements are, but how website users should recognize their social responsibility to not block the ads, this fact remains. Website owners that depend on ad revenue cannot expect their users to just blindly “hope” that the ads are safe. There need to be much more serious safety measures in place to prevent these infections. It’s kind of like when you go out to eat. The owner of the restaurant can give you free samples, but if you go there for a full meal he expects you to pay the regular price for it. In return, you expect the food to be safe to eat and not give you food poisoning. Where can I get an ad blocker and which do you recommend? In the blog post I wrote that I use uBlock Origin. It works great. Ad Block Plus is also good. You would get either of them through the Add-Ons section in whatever web browser you usually use. Or you could go to the website for the blocking software itself and download from there. Great post, Scott. I just added uBlock Origin to Chrome. Thank you! No guilt since I pay for 7D delivery of NY Times and Bergen Record plus 3D delivery of NYDN. It boggles my mind how many people don’t get a paper anymore, fooling themselves that they get the news online. Nothing like flipping through a paper. I just took over this company and I also own I Fix Computers in Branson Missouri. I think you should add the Link to the adblocker software. I’ve listened to a lot of Computer Podcast and I like them, but, I still like your podcast best of all. By the way, the HEVC box still works and I do highly recommend you getting one. It’s not a total replacement for cable or direct tv, but, it works for all the latest TV Shows and Movies in theaters now. Keep those PodCast coming, I love them.